POLICE no longer want to be accused of being “gatekeepers” to the past or having “ulterior motives” around the handling of documentation on Troubles related deaths, according to Northern Ireland’s Deputy Chief Constable. In an interview with The Detail Drew Harris said the PSNI wants to relinquish ownership of the thousands of legacy files in its “murder archive” and hand them over to a new investigations unit being proposed under the Stormont House Agreement (SHA). This comes as the Irish and British governments, plus the Stormont parties, are involved in political negotiations around implementing the agreement brokered last year, which would tackle the legacy of the Troubles. But the question of who would control sensitive security files on the past remains a contentious issue. The Police Service of Northern Ireland’s (PSNI) murder archive contains files on every killing that has occurred in Northern Ireland since 1968. Legislation is currently being drafted to create a new independent body known as the Historical Investigations Unit (HIU) to investigate outstanding Troubles murders. Mr Harris said the police would hand over ownership of all Troubles related murder files to the HIU, if its creation is agreed at the Stormont talks. “We firmly support the establishment of the HIU and we will do everything to assist it as it develops,” he said. The deputy chief constable added: “We no longer want to be accused of being the gatekeepers to this documentation and having some ulterior motive around our handling of it. However concerns have been raised about the draft legislation for the Stormont House Agreement which it is claimed gives the Secretary of State the power to effectively veto the contents of reports published by the HIU on the grounds of ‘national security’. It is also understood the draft legislation currently contains no explicit provision to transfer the police murder archive to the HIU, providing instead for a PSNI duty to assist the HIU in the effective use of documents. Queries have been raised about HIU access to other police intelligence files that might relate to murders from the Troubles. In a statement to The Detail a spokesperson for the Northern Ireland Office said: “The HIU will see all information the government has, but as this means they will receive and hold information which could endanger lives and jeopardise national security, the legislation will put in place controls regarding onward disclosure by the HIU. Until the HIU and other bodies proposed under the SHA are established in law, the PSNI will continue to deal with Troubles cases through its internal Legacy Investigations Branch. But speaking to The Detail, PSNI Deputy Chief Constable Drew Harris said he believed that the police service needed to step away from legacy issues to allow it to deal with “the threats of today”. The concern among some bereaved families over the role of the PSNI around the investigation of historic cases where the police face serious allegations. The PSNI’s murder archive is currently the responsibility of PSNI Chief Constable George Hamilton and is located at a secure police facility in Carrickfergus, Co Antrim. The Detail was granted rare access to film within the facility that holds material relating to every death that has occurred in Northern Ireland over the last forty years. There are almost 12,000 boxes relating to every murder committed since 1968, including over 3,700 attributed to the Troubles. New legislation would be required to transfer ownership of the files from the police to the HIU, or to allow access to the files. 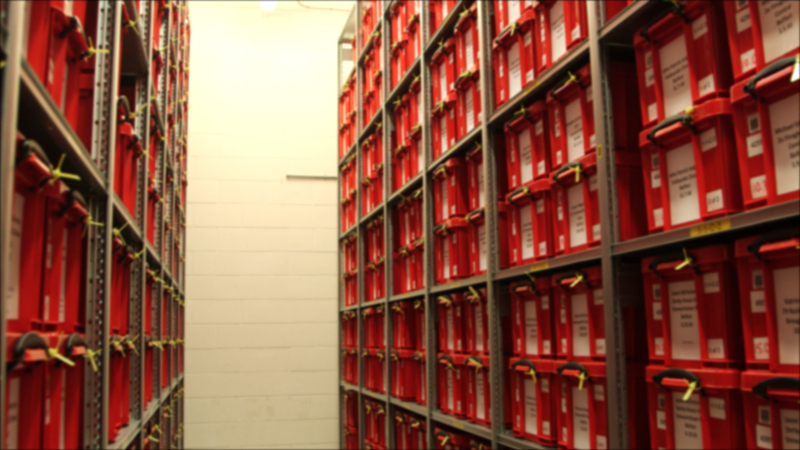 The thousands of files contained in the murder archive are housed in high security temperature controlled rooms where the documents are protected against decay, theft or fire damage. The archive also includes nearly 6,000 files on attempted murders and a further 6,000 files on bomb related incidents. The store contains more than 100,000 exhibits linked to the crimes. Political leaders have already agreed in the SHA that, while a new system to investigate legacy cases is required, ongoing inquests into deaths linked to the Troubles should be allowed to continue. Only nine legacy inquests have been completed during the past five years and 13 cases in total over the past 10 years. Of the 54 outstanding legacy inquests, 22 of them are more than 40 years old. Documents relating to the 54 outstanding cases are contained in the PSNI archive. They include some of the most contentious killings of the Troubles, with some dating back to the 1970s. The Detail has previously reported on concerns within the Coroners Service about the length of time it has taken police to prepare files for inquests. The PSNI’s Legacy Support Unit (LSU), which operates as an additional unit to the Legacy Investigations Branch, currently has responsibility for reviewing files to be released to the coroner in legacy inquests. The LSU consists of just over 20 staff and costs £1.5million annually. Police have previously stated that information is witheld, or redacted, to avoid publications that could put lives at risk. There has been criticism by legal representatives for bereaved families about the delays in the release of police documents and the amount of information that is redacted in cases relating to the Troubles. Drew Harris said that while he is mindful of families’ concerns he believed the system has enough checks and balances. “I can understand families’ criticism and concerns but what I point to is that this is a legal process,” he said. “There is a very specific duty on the chief constable to assist the coroner and what the LSU is responsible for is making sure that we provide the information to the coroner which allows them to conduct a human rights compliant inquest where that is deemed appropriate by the coroner. “But it’s important to point out that this involves the coroner having full and unfettered access to all material. “So it is our duty to make suggested redactions and it is then for the coroner to decide on those redactions. The deputy chief constable confirmed that the LSU currently employs six ex-officers who had employment in the PSNI and RUC. 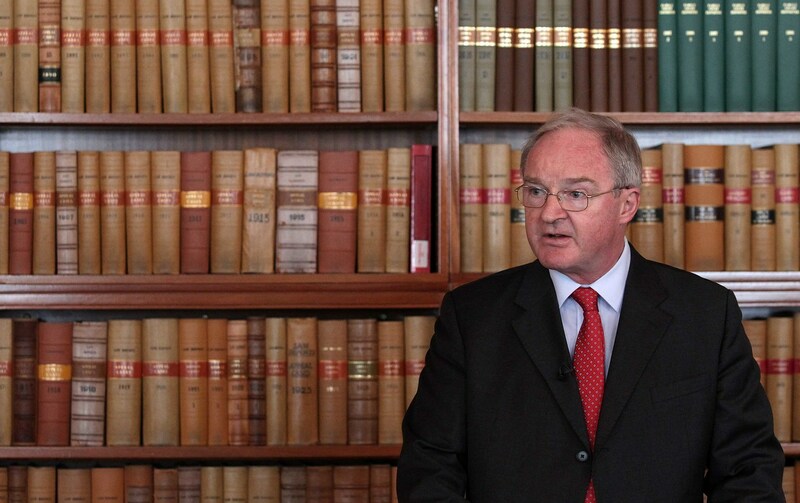 Earlier this month the Lord Chief Justice for Northern Ireland, Sir Declan Morgan, laid out plans for dealing with outstanding legacy inquests. Sir Declan told a conference organised by the Victims and Survivors Forum that preliminary hearings for remaining legacy inquests would be scheduled for January to assess “the state of readiness of each case". The Deputy Chief Constable said he welcomed the Lord Chief Justice’s announcement as there was an urgency attached to some of the older legacy cases. He said: “Each of the cases are unique but certainly with those from the early 70s, over 40 years ago now, there is an issue around the age of witnesses and their availability and in some cases were witnesses have died before matters have been heard. The Lord Chief Justice had previously warned that legacy cases could go on until 2040 unless the coronial system was changed. Drew Harris said inquests could not continue at this rate: “If inquests continue at their current pace 2040 is a mathematical possibility but all of us seek to do a lot better than that. “I think certainly if the processes outlined in the Stormont House Agreement are implemented these matters could be speeded along. “It would be a real indictment on us as a society if it takes to 2040 to resolve the inquests that are open already, as this would be on top of the threats and crime that are happening in society at the moment. “This is why we welcome the establishment of the HIU because it would take the police service now away from these legacy issues and allows us to concentrate on the threats of today.